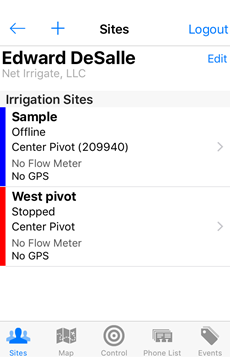 Open your Net Irrigate app and login into your account. Then select your site from the “Sites” tab that you would like to adjust or establish its location. 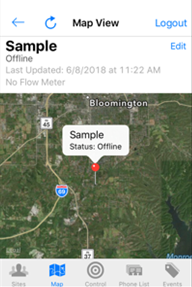 From there you drop the pin on top of the center point of your pivot that you have connected our product to. You can do this by holding you finger over its location for roughly ten seconds or until the pin establishes that as a location.